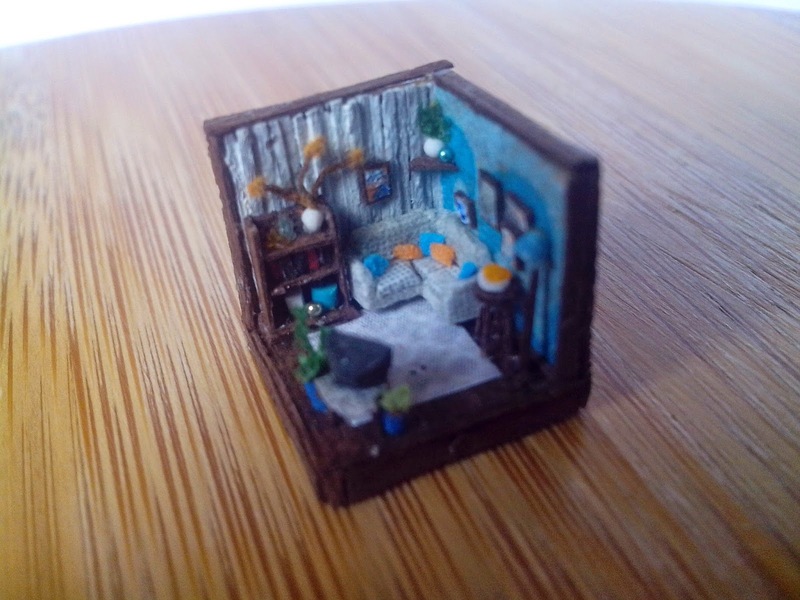 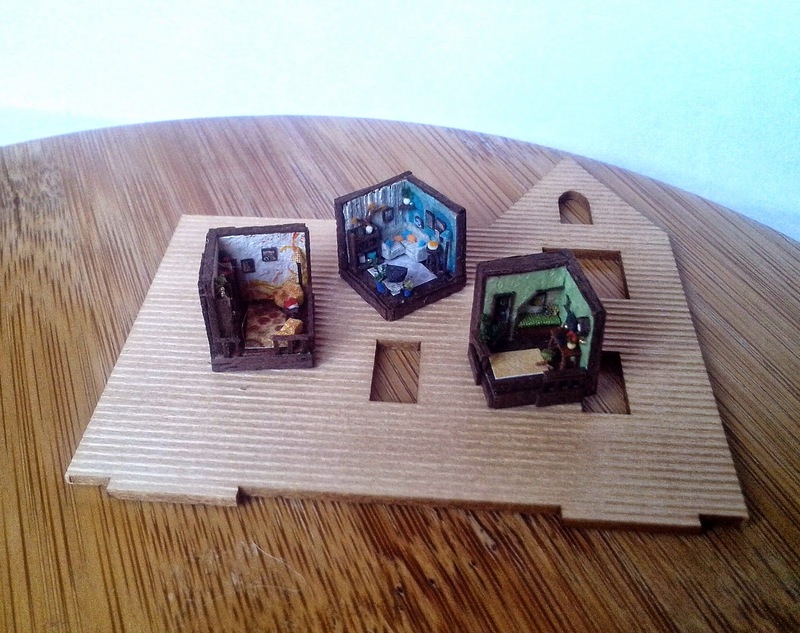 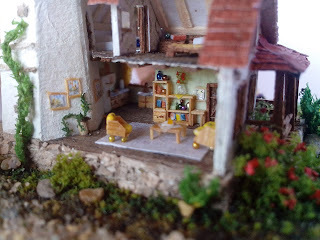 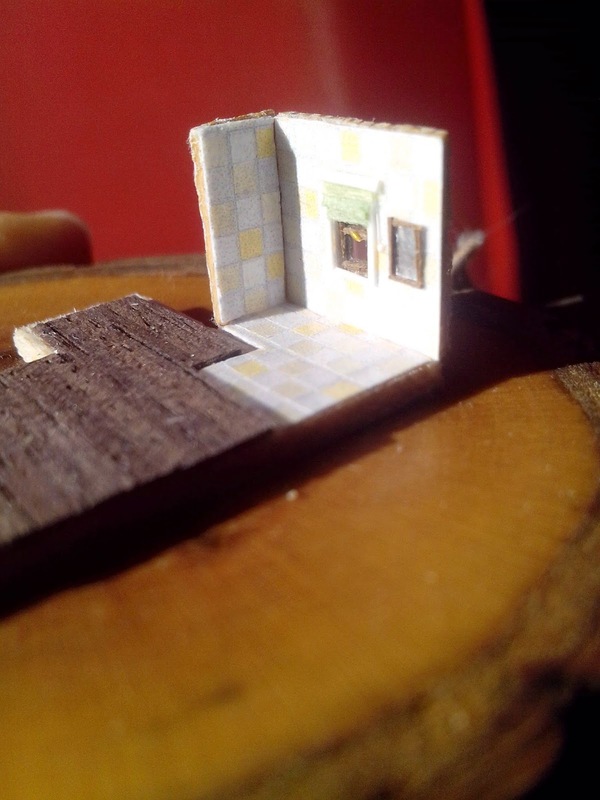 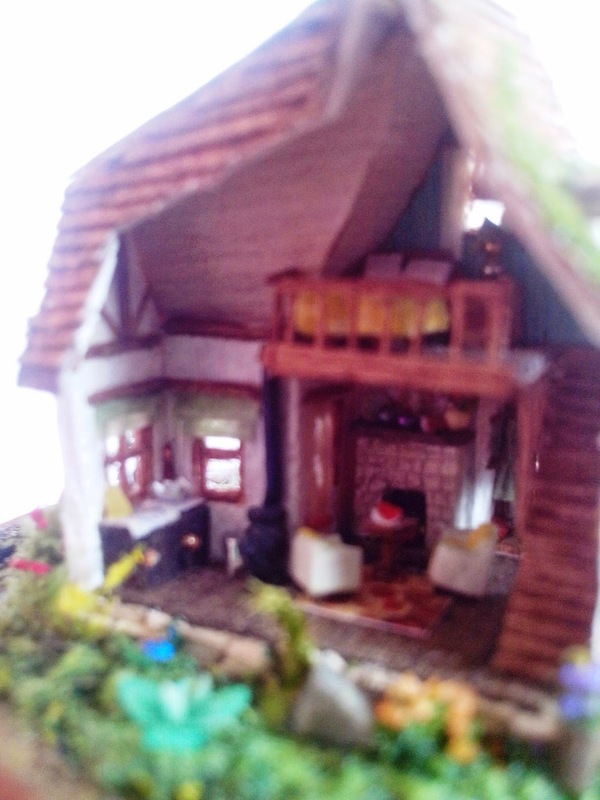 That was a replica of my previous roomboxes. 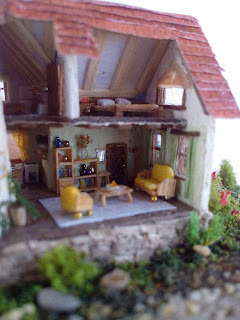 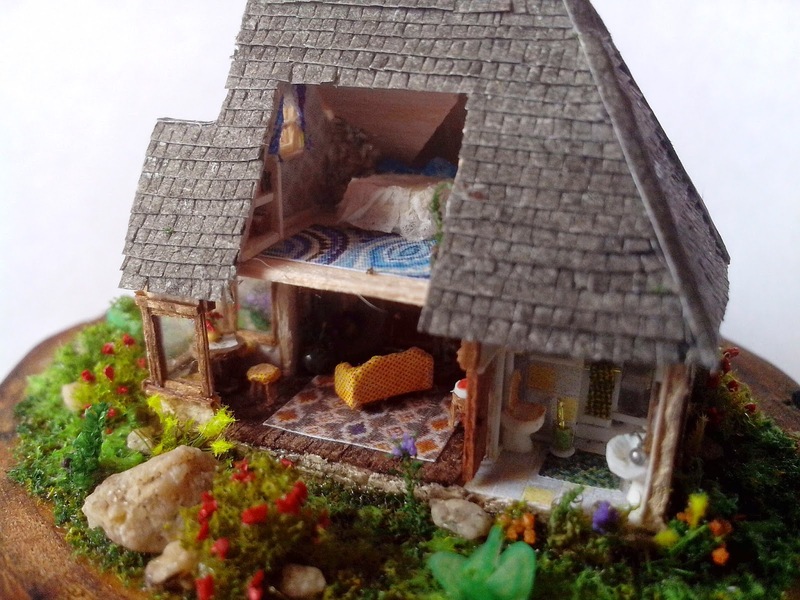 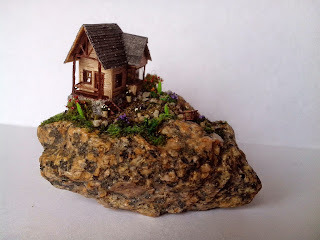 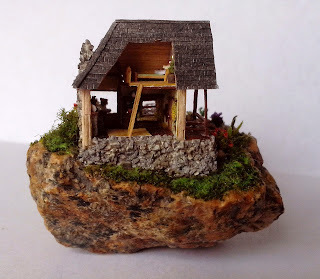 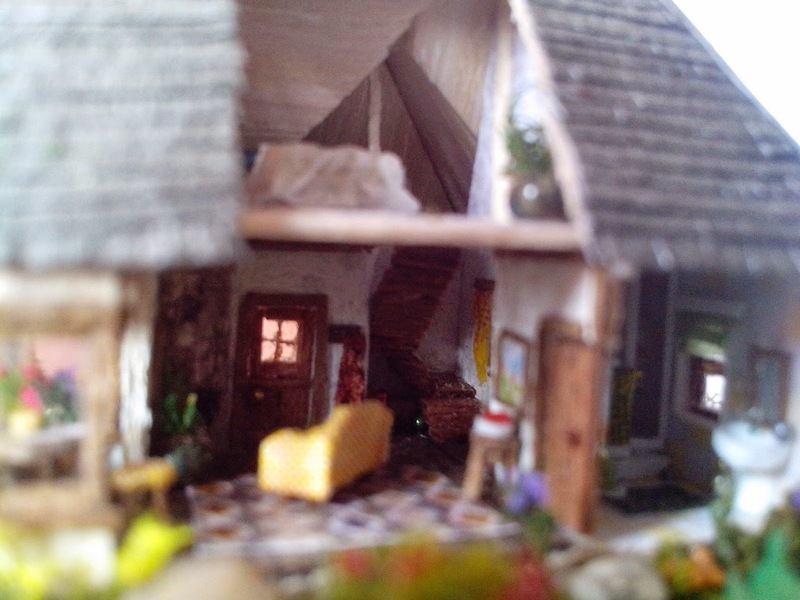 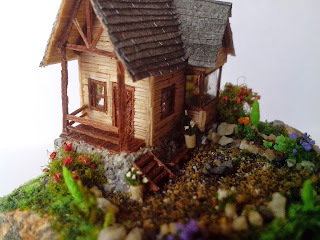 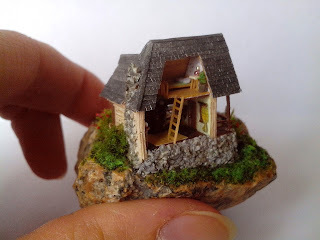 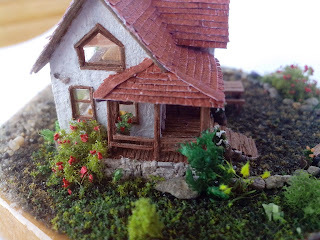 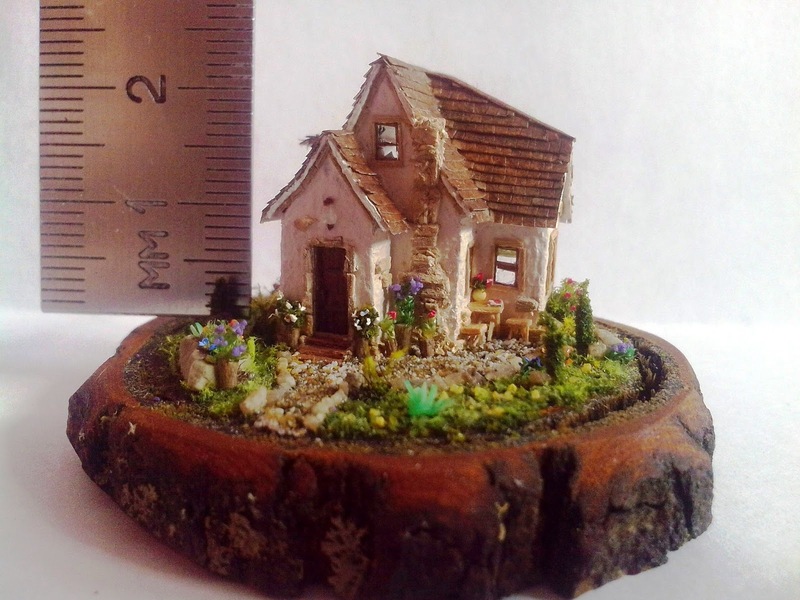 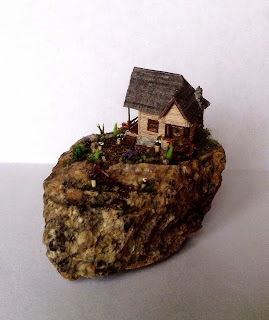 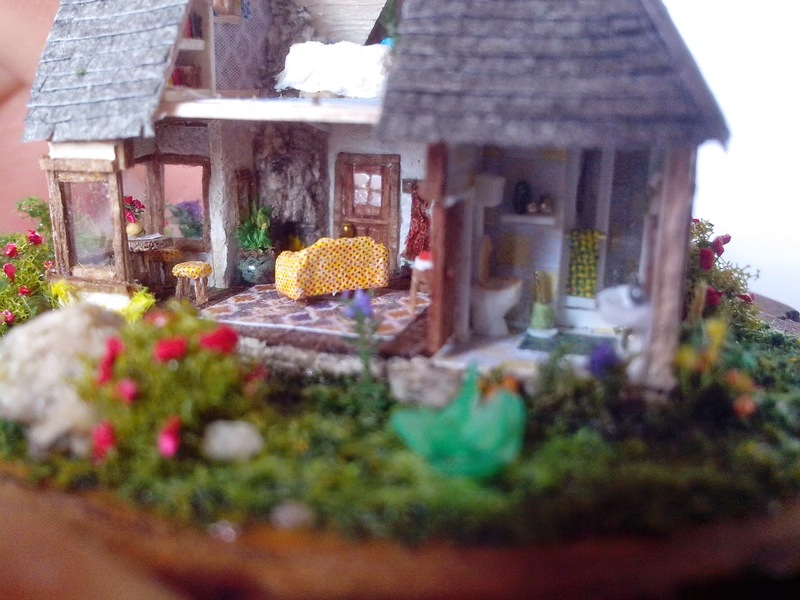 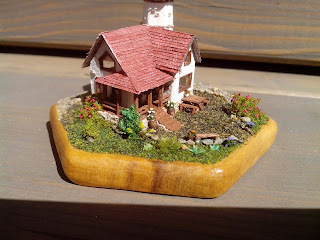 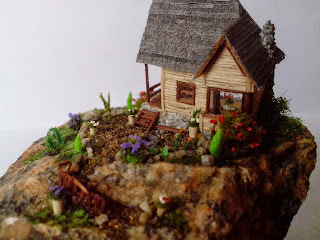 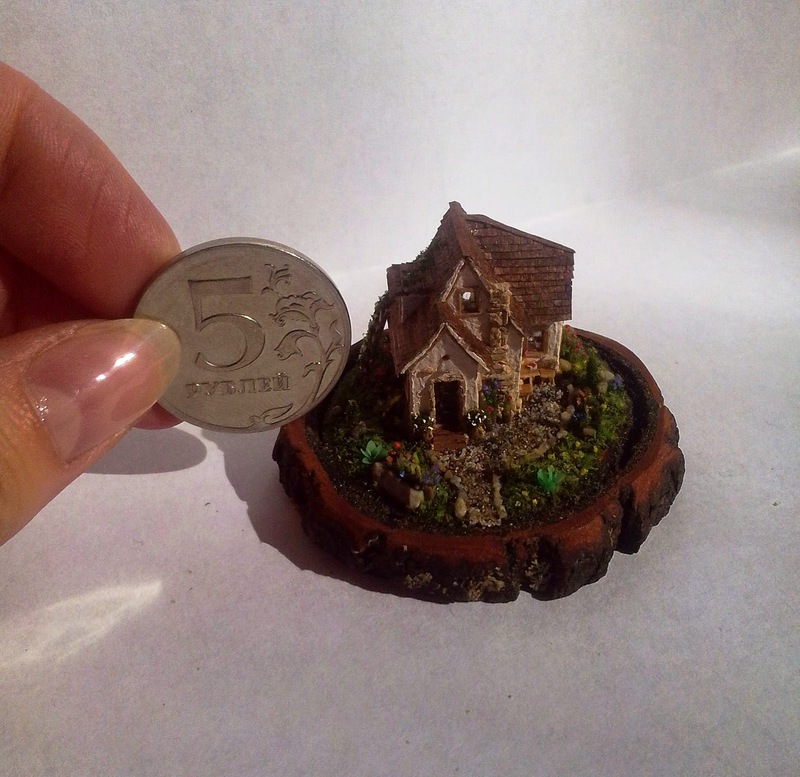 A while back someone asked me to make a photo of my tiny houses with a 144th scale house, so that one could imagine the difference. 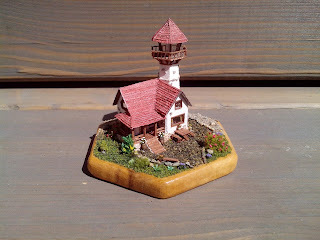 So, here is the part of an unassembled Queen Anne Mansion kit by North Eastern Scale Models. 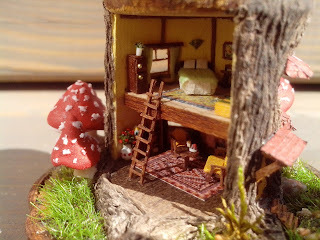 Wishing you a creative time! 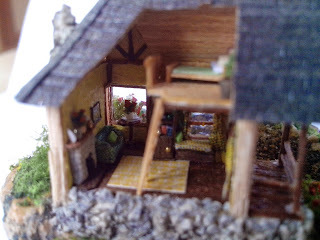 It looks great in real life, but on the photos you can of course see roughness. 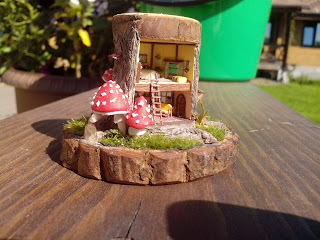 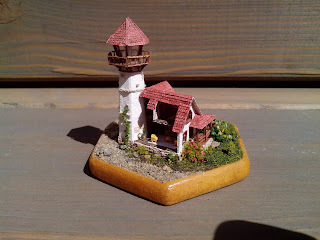 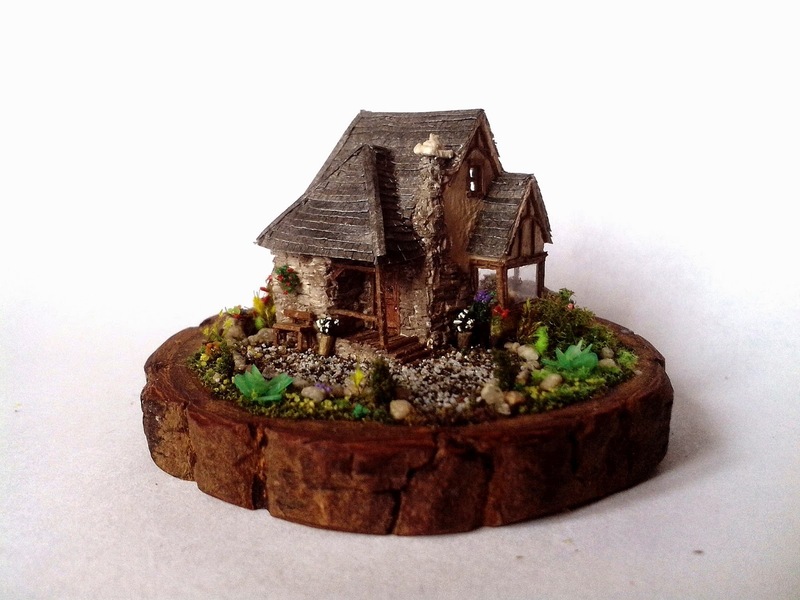 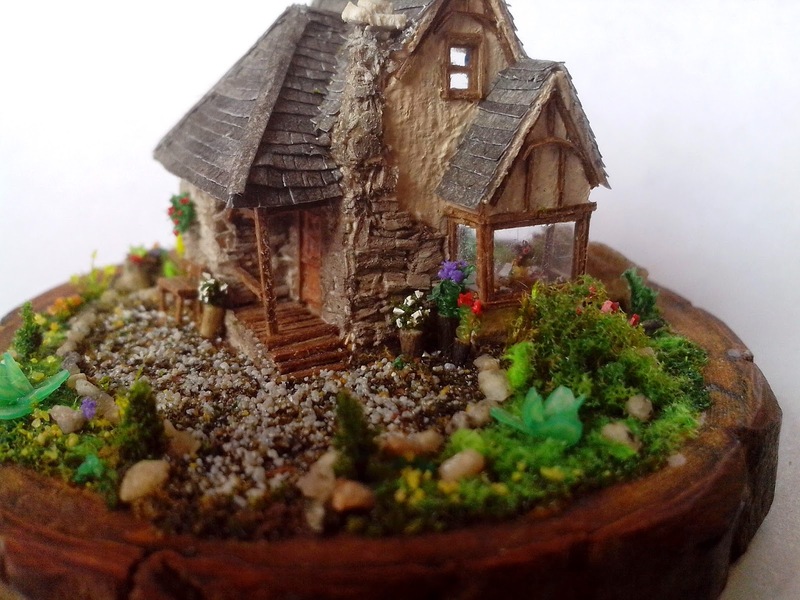 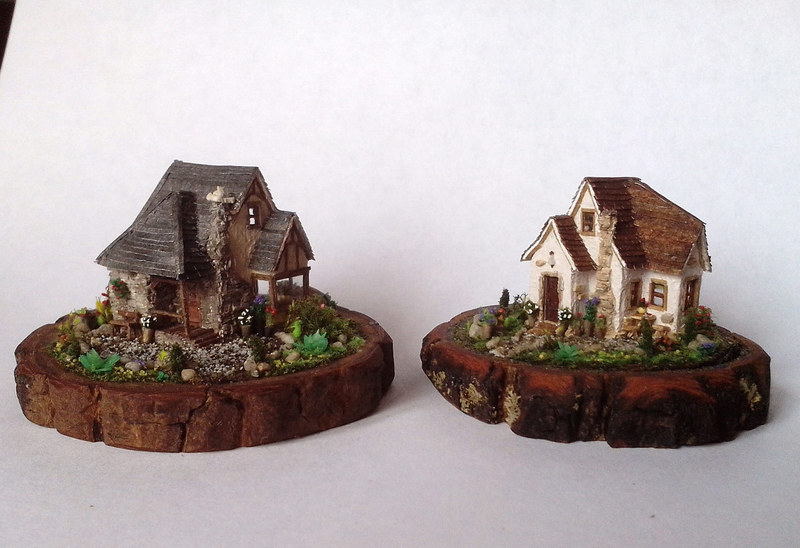 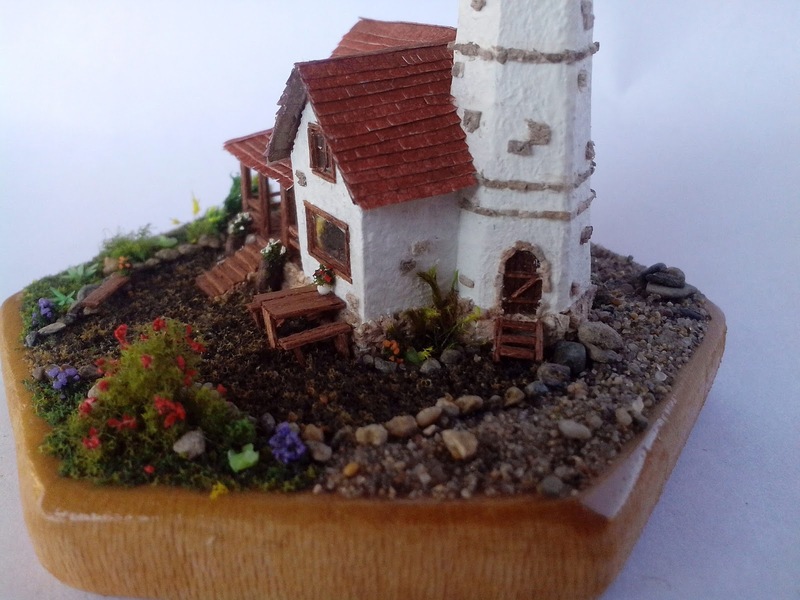 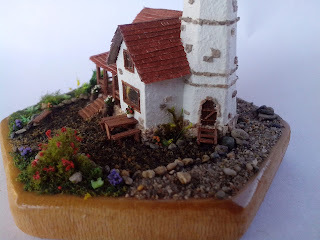 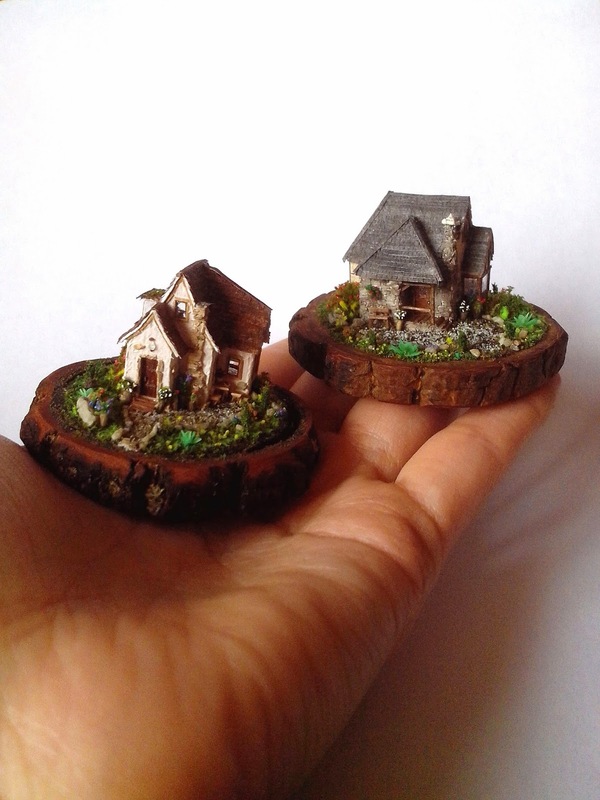 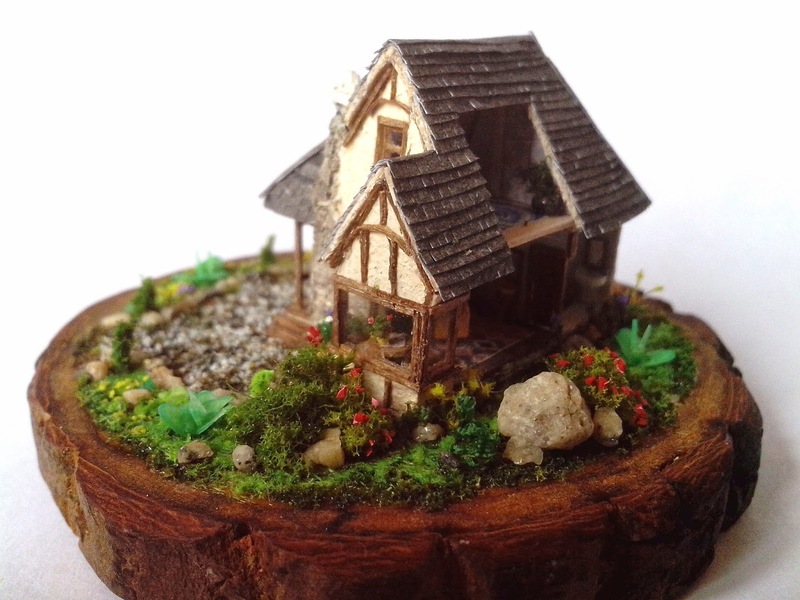 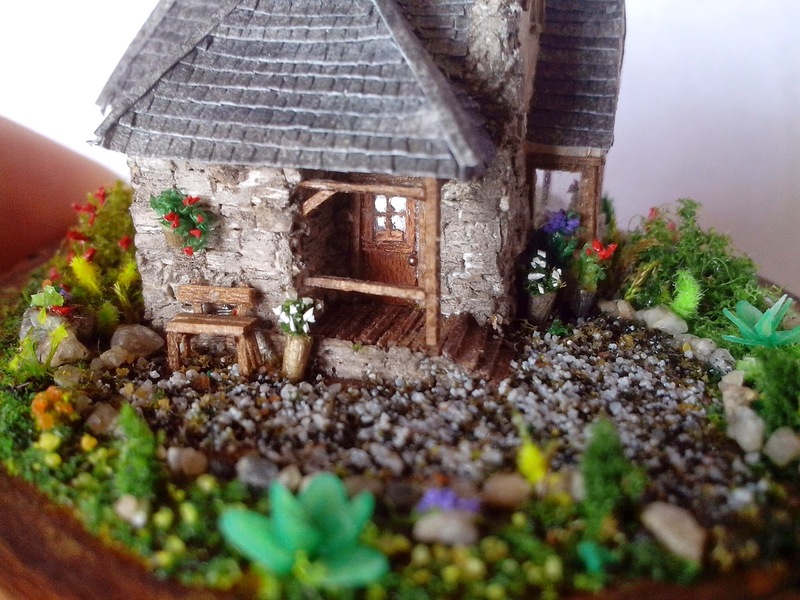 A while ago I ordered wooden bases on Markshire Studio and now I had finally an opportunity to use it! 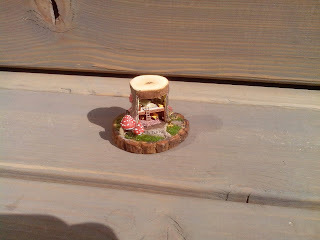 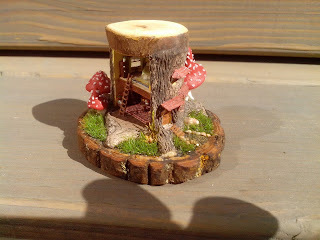 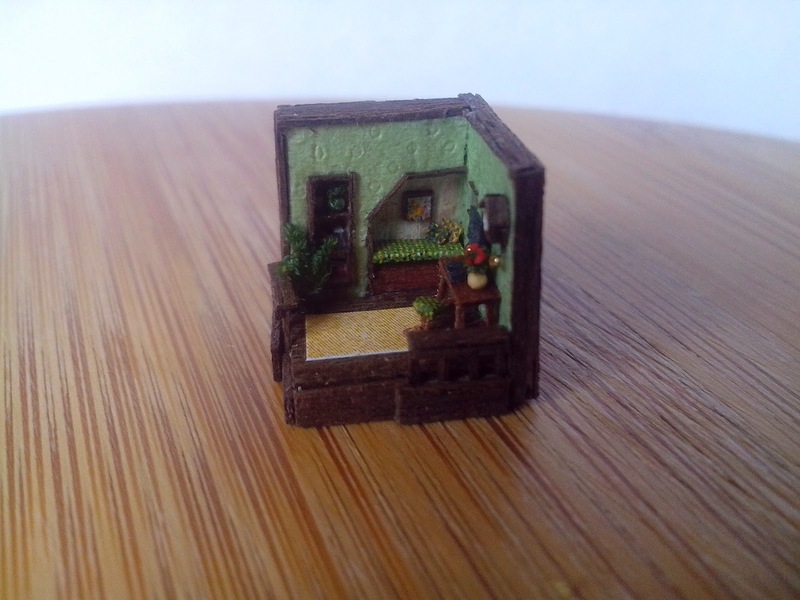 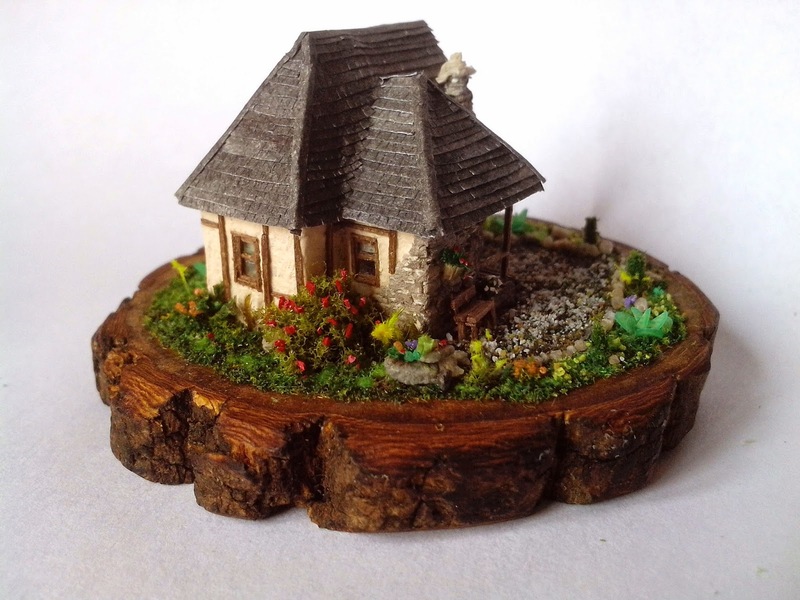 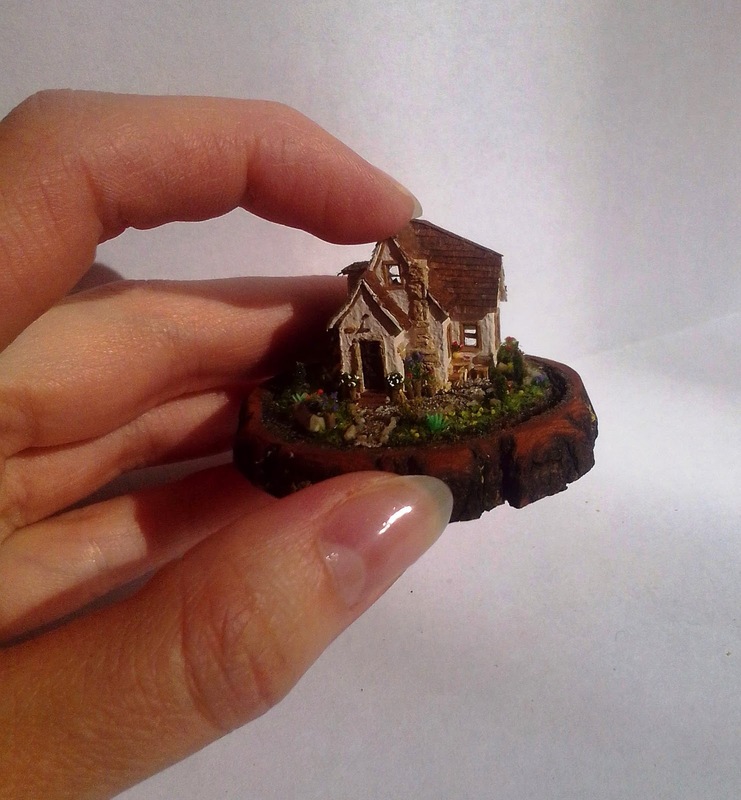 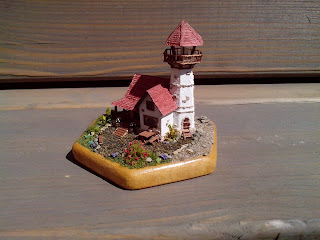 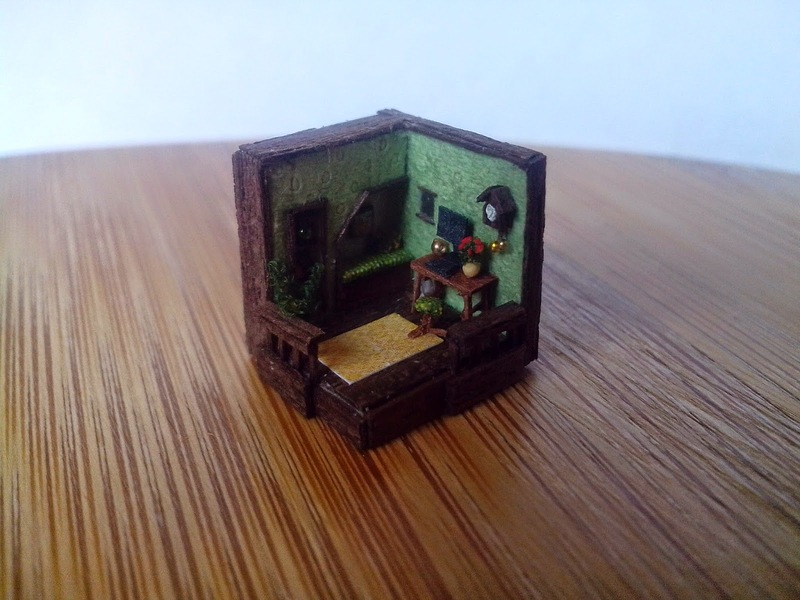 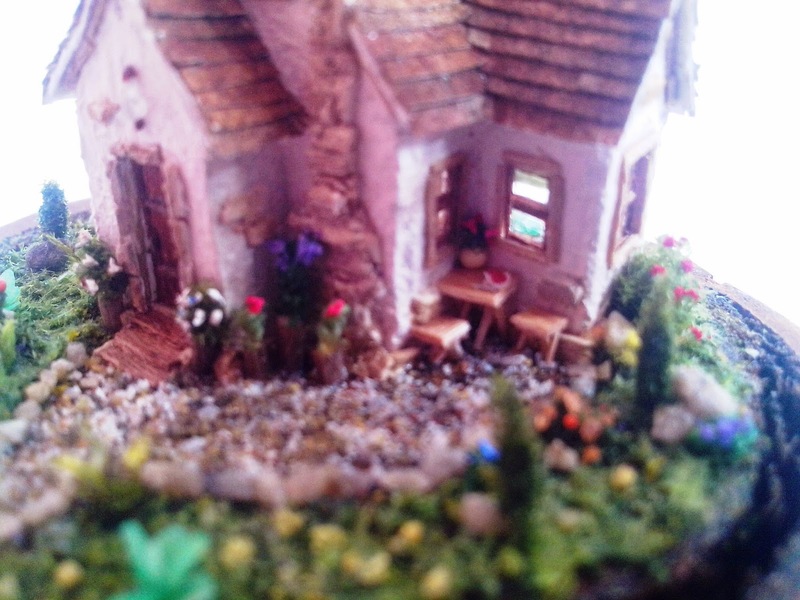 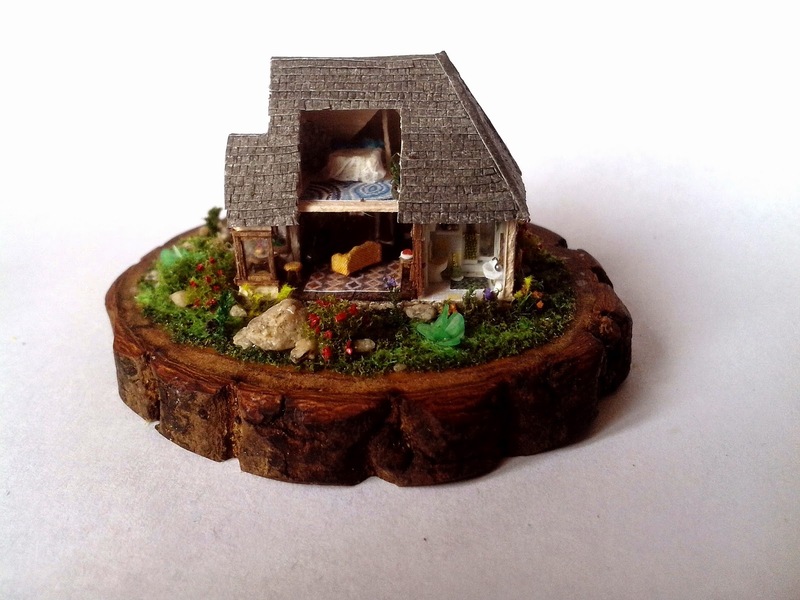 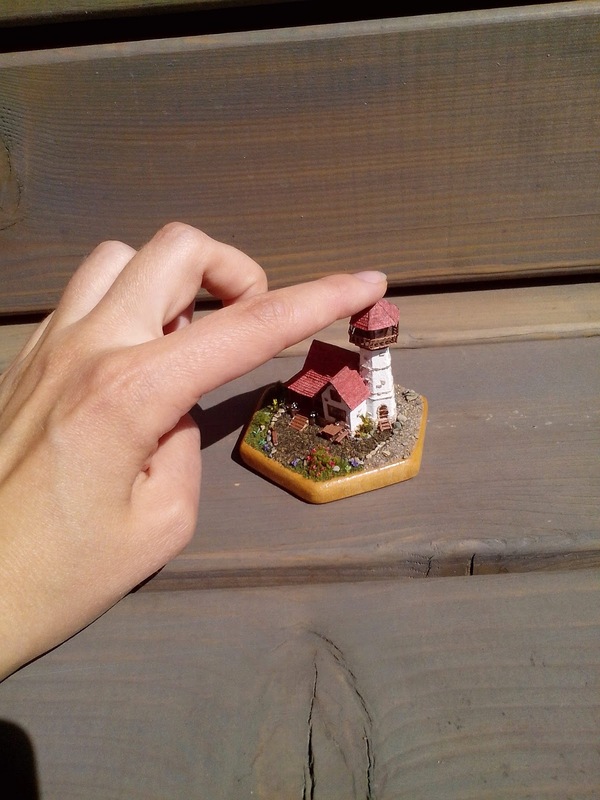 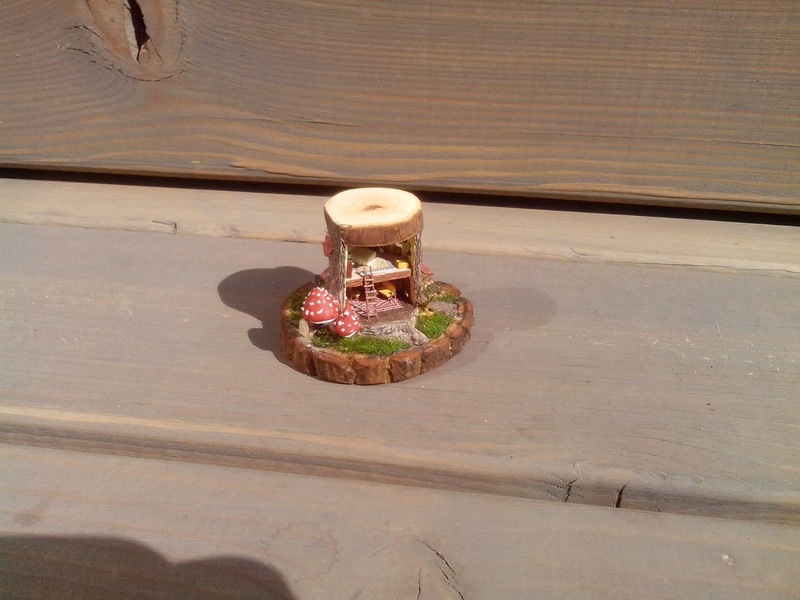 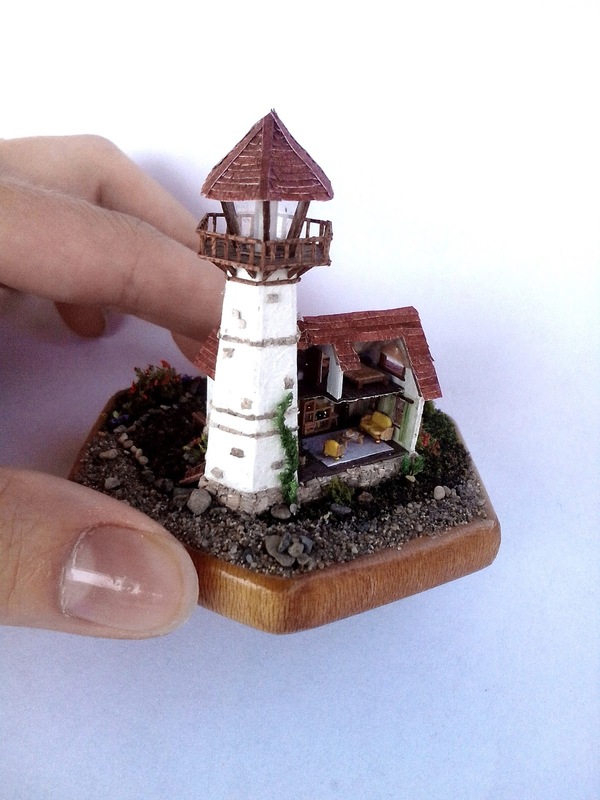 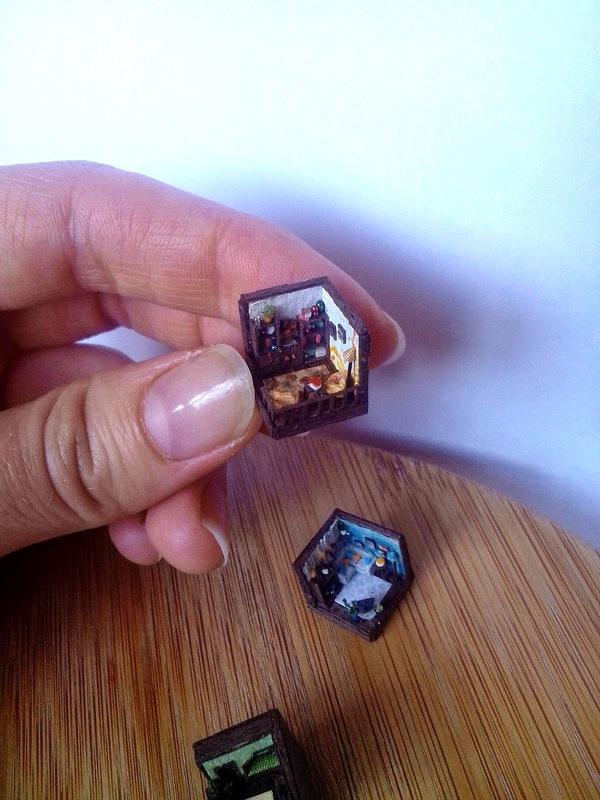 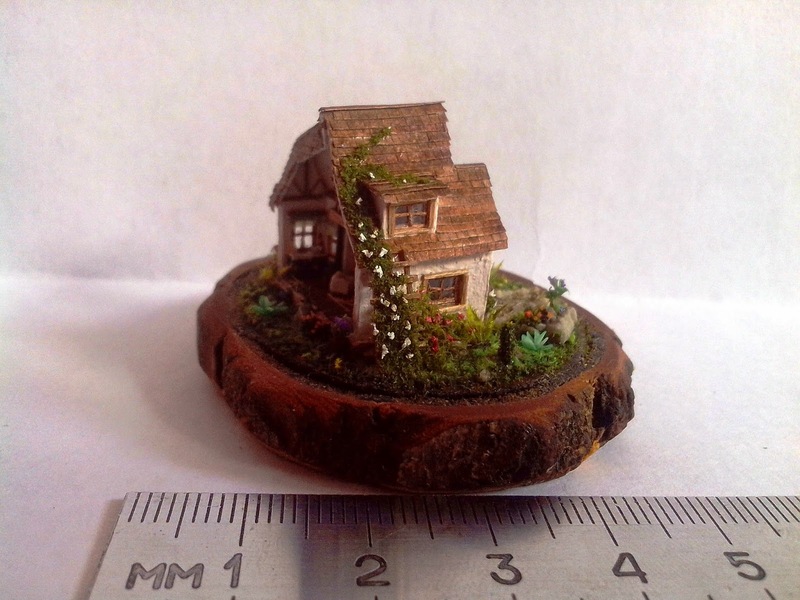 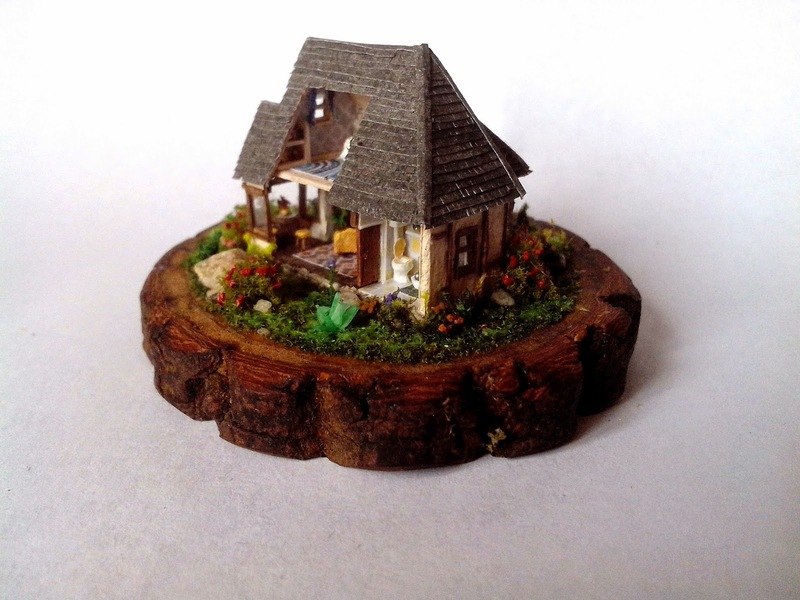 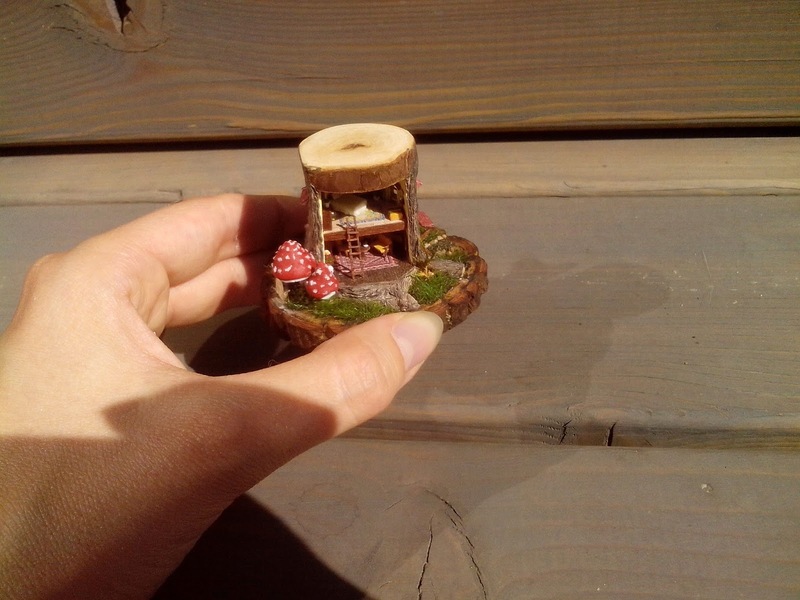 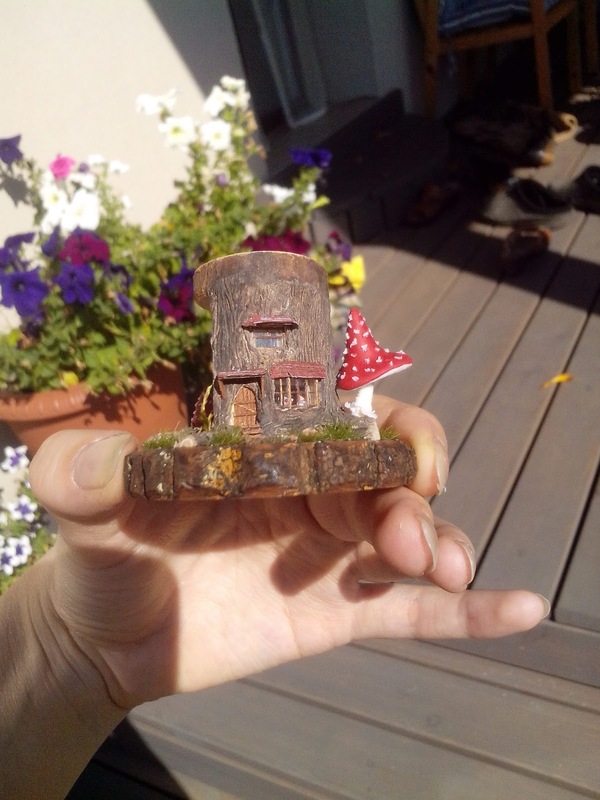 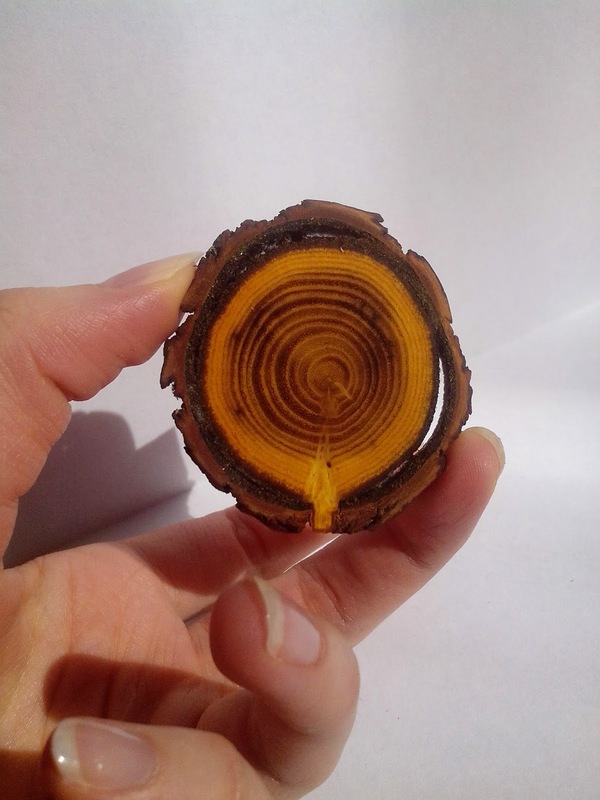 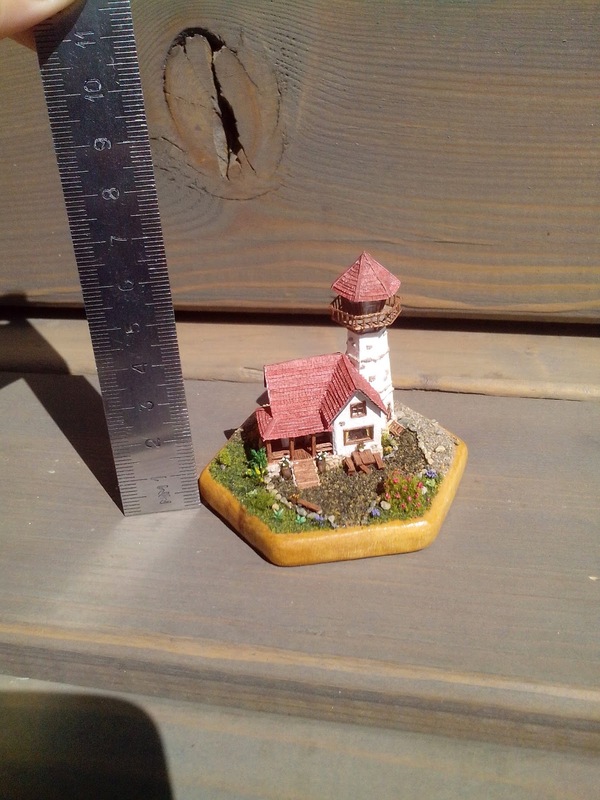 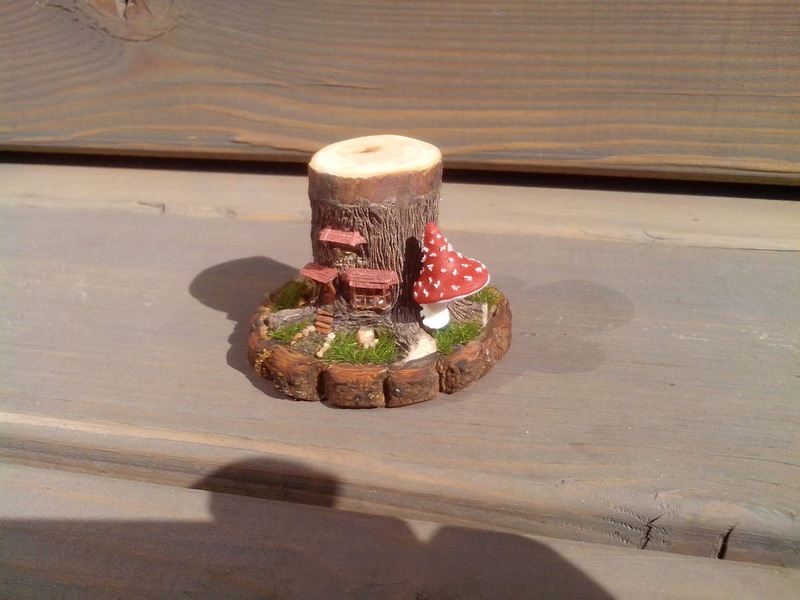 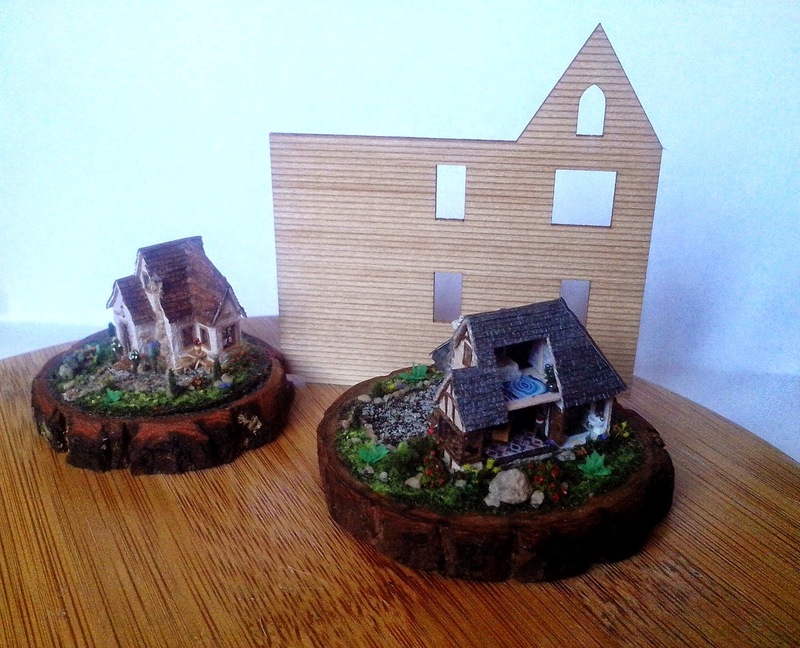 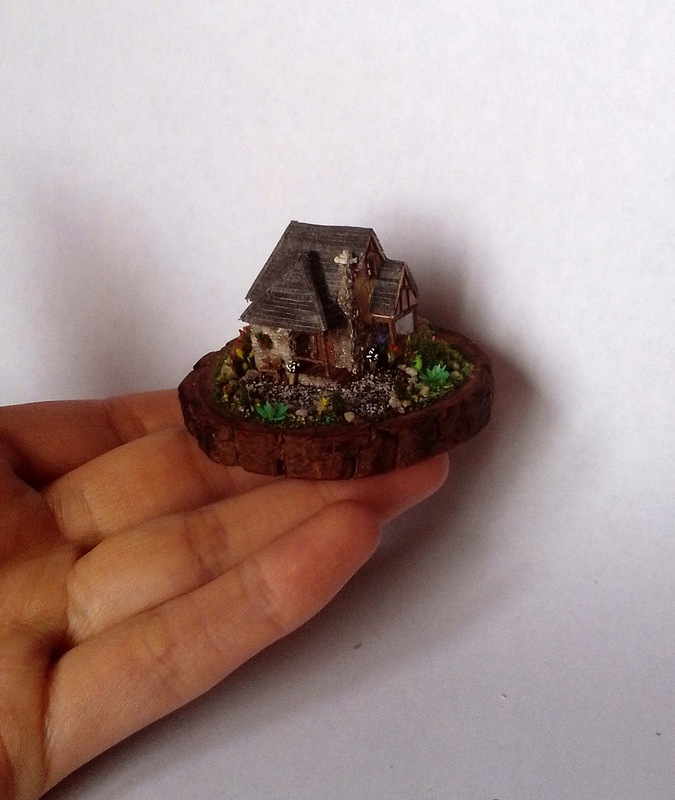 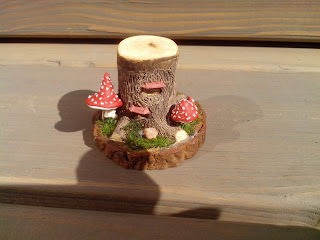 The quality of the wooden pieces is superb :) They have different sizes, this one is one of the smallest.